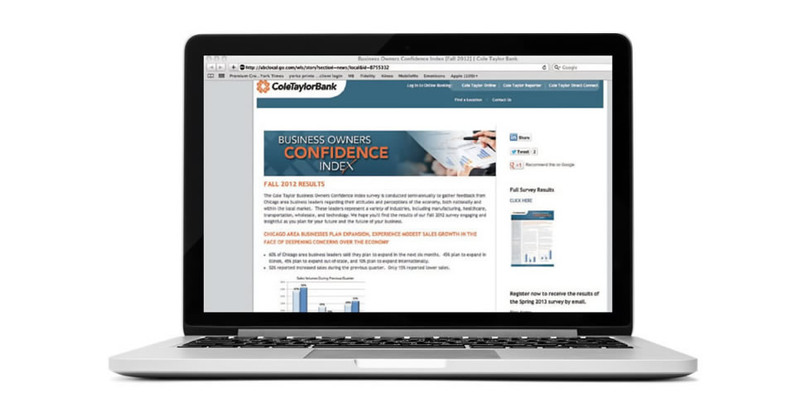 In support of its new tagline, Cole Taylor Knows, we proposed that the bank create a series of web videos designed to provide Cole Taylor Bank clients and prospects with real, actionable information they could use to help run their businesses. We developed topics, recommended on-camera talent and wrote and produced the segments. The videos were hosted on the bank’s website and could be e-mailed by the bank’s relationship managers to support existing clients or build new business. In this video, the bank offers specific ideas on how a company can leverage the talent, experience and expertise of its bank to help the company thrive.